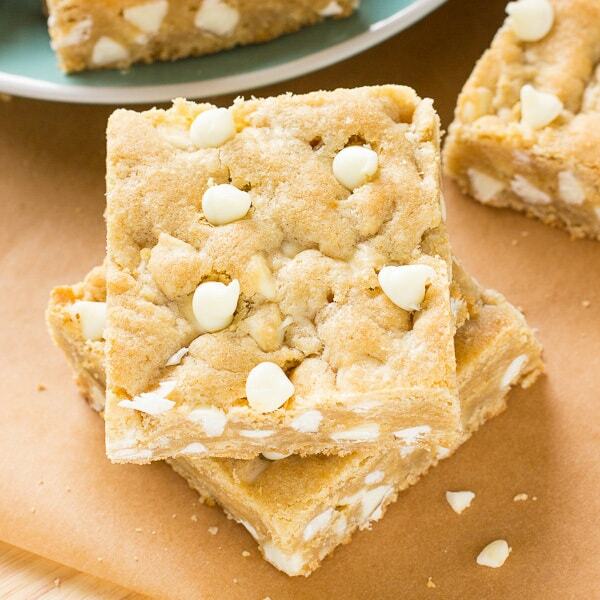 These delicious White Chocolate Blondies are soft, chewy and loaded with white chocolate chips! Hi! 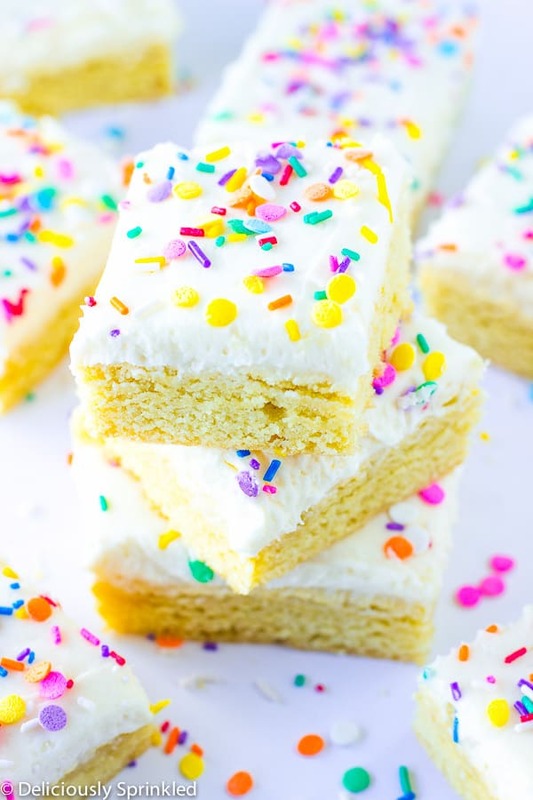 It’s Jenn from Deliciously Sprinkled back with these easy to make White Chocolate Blondies. Summer is just around the corner and I’m always looking for quick dessert recipes to make to bring over to a summer BBQ. These White Chocolate Blondies are soft in the middle with slightly crunchy edges, just the way everyone loves blondies. 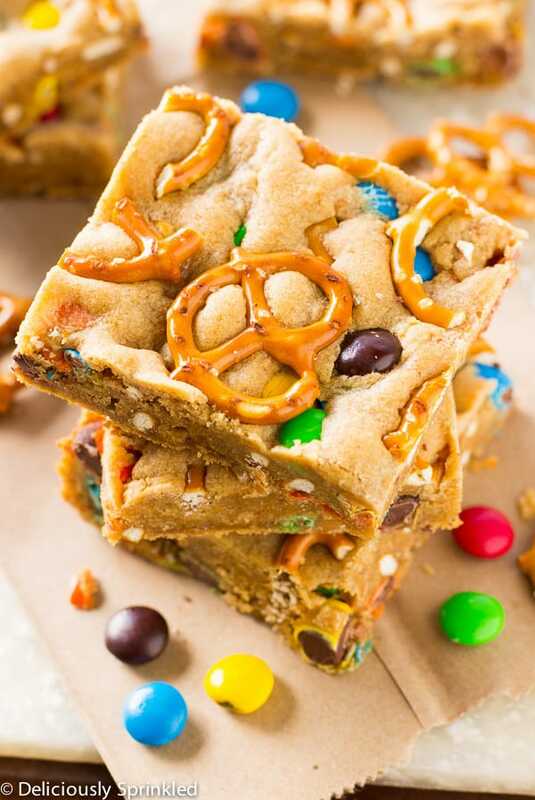 I also LOADED these blondies with white chocolate chips which brings out the delicious vanilla flavor of the blondies. 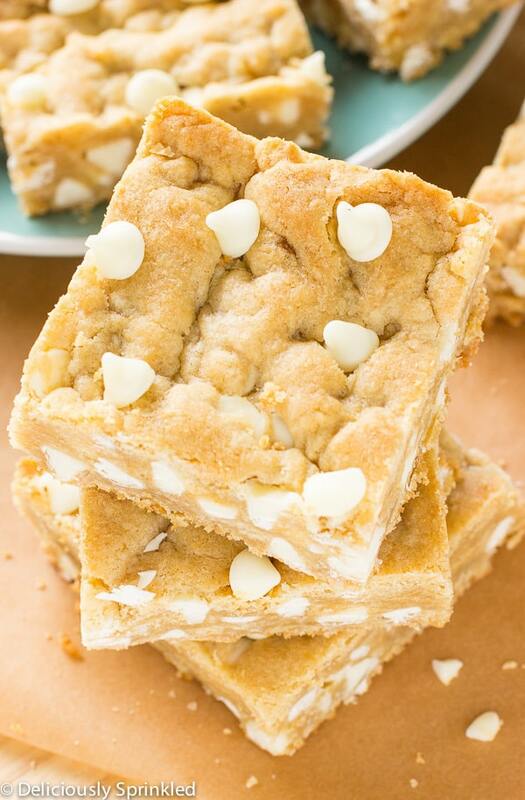 These delicious White Chocolate Blondies are soft, chewy and are loaded with white chocolate chips. Preheat oven to 370F degrees. Line a 9x9 inch baking pan with aluminum foil and spray with non-stick cooking spray. Set aside. Press dough into prepared baking pan. Bake for 20-23 minutes or until edges are lightly golden brown. 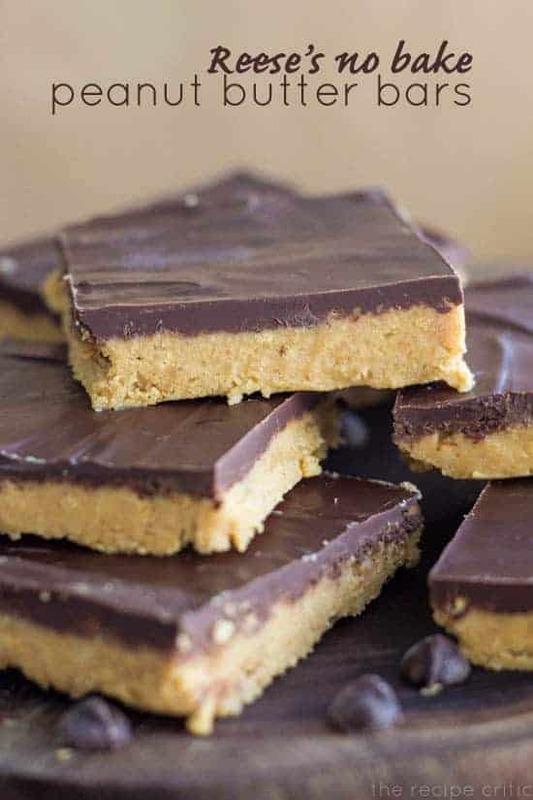 Let bars cool completely before cutting into squares. These are delicious! I found them just bit too sweet, so I used 1/3 cup white sugar and I didn’t pack the brown sugar. Bro these were so good they were the bomb.com like literally fire dawg. ???????? I don’t have white chocolate chips.But I do have a huge block of white chocolate .So how much should I use? Mine came out dry…..really dry. What did I do wrong, I followed the recipe exactly..
Oh bummer! I am so sorry to hear this! I hope other recipes work out better for you!